​I really enjoy watching "empties" videos. Especially by Caroline Hirons. I think it's a really good way of knowing what you truly loved and which products you'd pass on the next go around. So this is going to be my empties post. Which is going to be a mixture of a lot of things. ​This post is long overdue. I feel like I have enough products from this brand to give you a well rounded review. Before we go any farther though, I am an affiliate with Mellow Cosmetics. So I do have a coupon code: "Erin" which I will earn commission off of if you use it. This post isn't sponsored though, I was never asked to make a blog post or anything for them. With that out of the way let's get started. I've basically just cherry picked a few of my favorites because we'd be here all day if I discussed each and every product they had. Today's post is going to be a round up of some new products I'm trying lately. Hopefully I can give you a "mini review" for each of them, since I have formed some opinions on them. Let's get into it. This one will be skincare and I think I'll do makeup one next. ​Milk has been a brand that has been hit or miss for me. With very few hits actually until now. I think it's because I in general don't like "stick" products like the blur sticks and the Matcha cleanser stick. It's just not my bag. Although I do really like the Matcha Toner stick and I like the water stick too, I just hadn't found a really great product yet. Then they released the Kush products starting with Kush mascara and then the brow products. That is when the tide changed my friends. That is what we're here to talk about today. 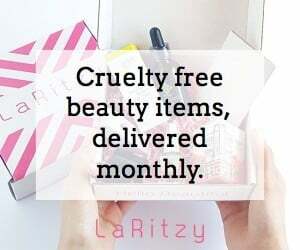 ​As the last couple of months, I'm going to break down the Allure Beauty Box for September. This is a monthly box with subscription. You can cancel anytime. It's always got at least 1 full size product in it. The links in here will be my affiliate links that take you to the sign up sheet. You will get your first box for $10 and after that it will be $15. This is the best subscription box I've had thus far. I've tried plenty. This months box is extra special thought because it has the Allure Best Of Beauty Award Winners in here. Trying 3 Exuviance Best Sellers! ​Alright let's talk Exuviance. As you know they're one of my favorite skincare brands. They're no stranger to this blog. I love their innovation. I love how they're constantly bettering their products. So today I'm going to discuss 3 of their best selling products that I hadn't tried until now. As you know by now, I test skincare for at least a month before I review it unless it's a cleanser. I think I've been testing these three for a little over a month now. ​Today we're discussing the Natasha Denona Safari Palette. I am more than excited to talk about it and also equally as excited because Beautylish asked if they could send it to me. I'm beyond flattered, although they did send it they didn't ask me to do a review or post anything. So this isn't sponsored and regardless if it had been sent or not I was planning on buying it for sure anyway. Let's discuss...shall we? ​Next up in my little installment of "roundups" of brands that I enjoy in certain categories, is going to be "organic skincare". If you're not sure what I'm talking about I will link the first post here. I started with "Clean Beauty" which overlaps with quite a few other genres but I wanted to do a dedicated post to organic skincare simply because there are so many great brands that do an incredible job at their craft. They really have a passion for it, they're typically a small or even one man show. They also make some of THE BEST products that will feed your face. As you know I love me some nourishing, super food products, that will literally feed you skin. I'm also going to stick to brands that offer a few products not just one or two. I like for you to have options. ​Shew, guys....we're growing over here. I appreciate it very much. As this website grows though I know I'm getting readers who need different things. I want to accommodate that as best I can. So today I wanted to discuss my favorite Clean Beauty skincare brands. I think if I had to choose a path to go in skincare I would ultimately go with clean beauty. As you know I use most all skincare products, with exception of very few, but I'm a fan of clinical skincare, organic skincare, vegan, advanced tech, you name it. I love knowledge. I'm one of those who thinks that the best way to be helpful and the best game plan to have, if you will, is to have as much knowledge as possible from every area. I appreciate that there are so many options right now. I also realize that it's a bit overwhelming too. So I want to make it clear that while I'm starting with "clean beauty" expect more to come with the next roundup of brands or products being "organic skincare" or the "green beauty" movement that we're seeing. I'd much rather dedicate a whole post to organic skincare than to lump it together with something else. So be on the lookout for that! So in the Sephora sale blog post I mentioned that I picked up the new Benefit Brow Contour Pro pencil which reminds you of the 4 in 1 pens we had when we were kids. You just slide the tab down for which ever product you're needing. I have shade Brown-Black/Light. Which is light defining and highlighting shades for the skin and darker shades for filling in my dark brows.